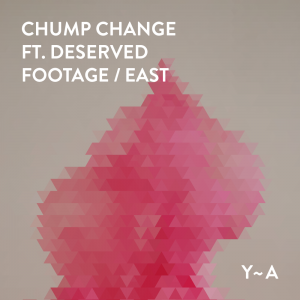 New Orleans based producer Chump Change delivers two uptempo tracks on Yarn Audio’s fourteenth release. Chump Change – with real name Ian Adams – is one of those producers with a broad musical influence, besides the obvious ones like drum’n’bass and jungle, you can clearly hear a wide range of elements found in 80’s hip hop or 60’s psychedelic rock. In the last two years Chump Change has had releases on labels like Footrap and Philthtrax.